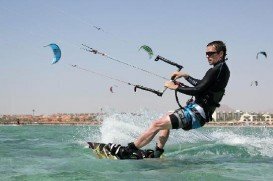 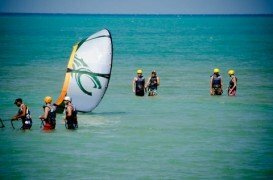 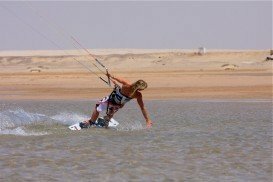 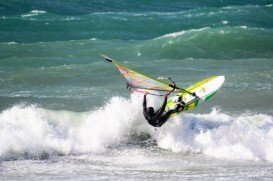 Hurghada is a woldwide known top wind surfing destination. 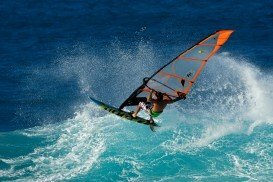 The mild, dry climate and the constant winds make the spot ideal for wind surfing for a long period. 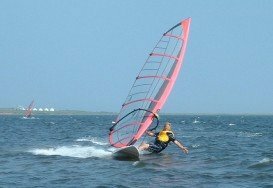 The winds blow from mainland in direction south-west and the absence of mountains or hills makes them stronger. 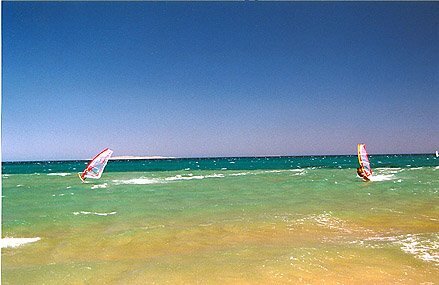 Alongside of Hurghada’s coastline a land corridor resembling a lagoon offers calm waters and secure wind surfing conditions. 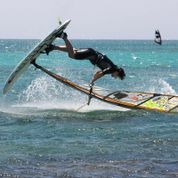 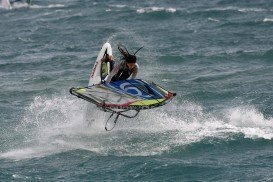 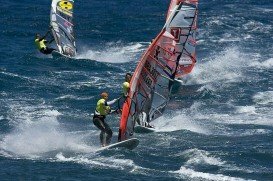 During September the winds are getting till to 25 knots/46.3 kph and it is the best month for wind surfing in the area.